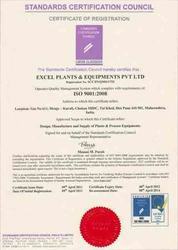 Established in the year 2011, we, “Excel Plants & Equipment Private Limited”, are an ISO 9001: 2008 certified organization engaged in manufacturing and supplying a precision-engineered array of Centrifuge Machines. In this range, we are offering various machines, such as Horizontal Peeler Centrifuge Machines, Manual Top Discharge Centrifuge Machines, Bottom Discharge Centrifuge Machines and Bag Lifting Top Discharge Centrifuge Machines. Along with this, products that are available with us are Top Driven Bottom Discharge Centrifuge Machines, Peeler Type Centrifuge Machines, Starts Peeler Centrifuge Machines, Halar Coating Centrifuge Machines and Pusher Centrifuge Machines. The significant features that demonstrate the high standards of the offered centrifuge machinery are reliable performance, robust construction, fully auto control, most suitable for deriving solid with low residual moisture, precision feeler, variable speed drive, precise design, longer service life and resistance against abrasion. Our offered machinery comprises above stated features, as we fabricate these using best quality machines, metals and other components at our premises. In addition to this, we carry out the manufacturing process while keeping in mind the international quality standards and norms with an aim to ensure peerless standards of the same. Our offered centrifuge machines are used to cater to the divergent requirements of various industries, such as chemical industry, pharmaceutical industry, refineries, agro chemical, food and breweries, bulk drug plant, ethanol plant, dairy industries and phenol formaldehyde resin plant. The offered machinery are designed by expert professionals, who ensure these are able to meet the requirements of above named industries. With the support of these experts professionals, we are able to undertake turnkey projects for bulk drug plant, polyester resin plant, phenol formaldehyde resin plant, distemper paint plant, food plant, chemical plant, pharmaceutical plant and pva /alkyd resin plant. In addition to this, our experts professionals also ensure that offered machinery is provided to patrons as per their given specifications. Our expert professionals hold expertise in their area of work, further they also conduct surveys to keep themselves up-breast of the prevailing market trends. We also conduct various seminars and workshops to enhance the knowledge of our professionals. Our experts perform their different tasks at various units of our infrastructure while keeping in ind the requirements of patrons. To clearly understand the requirements of patrons, our expert professionals make interaction with them on frequent basis. Further, by using their knowledge and skills, they make use of modern machinery installed at our infrastructure to manufacture the rage accordingly. Our experts also ensure to update the infrastructure on frequent basis to ensure the hassle free production of offered machinery. They also ensure to deliver the range at patrons' premises within stipulated time frame. We have gained goodwill in the industry, owing to the support and dedication of our managing director, 'Mr. Udaysingh Yele'. He holds vast experience in this domain and always keep himself abreast with the changes in market so as to guide us in an efficient manner. We are able to fabricate a broad gamut of Centrifuge Machines in a streamlined manner, owing to the support of our sprawling infrastructure, which is spread over a vast land mass. 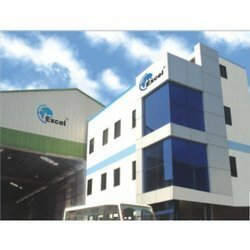 This premises is located at Pune, Maharashtra (India) and is equipped with all the latest amenities required for the smooth flow of fabrication process. To ensure that our premises is efficiently handled and operated, we have hired a team of experienced professionals. These professionals by using their knowledge ensure that the machines and technology is updated on frequent basis as per the evolving trends so as to retain the increasing rate of production. Leveraging on the support of our expert professionals, we are able to offer a precision-engineered array of Centrifuge Machines as per the specifications of patrons. Our expert professionals hold vast experience in this domain. In addition to this, by carrying surveys they make themselves up-breast of the prevailing market scenario. Using their knowledge, they ensure that the offered machines are able to stand tall on the expectations of our patrons. Moreover, we conduct various seminars and workshops with an aim to enhance the skills & knowledge of our professionals. Our professionals also take the responsibility of updating the infrastructure, so as to ensure that the production process is carried out without any trouble.